Experts from the National Institute of Corrections visited Houston as part of an initiative to make the Harris County jail more child-friendly. Tennessee opens first housing units dedicated to justice involved veterans. "Veterans will be put together to get into a more common structure. It's veterans, they're going to get through this together," said Rogers, newly appointed by Gov. Bill Lee to lead veteran services. ... Tennessee's veteran housing program follows a national trend of "barracks behind bars." Inmates can work through problems they often share, such as substance abuse and post-traumatic stress disorder. Red Onion State Prison in Virginia has been using a number of NIC programs, including NIC's Thinking for a Change Program (T4C) program. As outlined through interviews in the documentary, the facility's use of the T4C program has had an impact on the facility and in the lives of staff and inmates. NIC's Thinking for a Change 4.0 curriculum is making a significant contribution to Brevard County’s Community Treatment Center and it’s Rehabilitation Facility accreditation. NIC’s Transition from Jail to Community (TJC) tool cited as an essential component of Virginia’s reintegration portal providing a one-stop shop for offenders. Morgan County Sheriff Douglas J. McGrath completed participation in the 115th session of the National Sheriff’s Institute, a no-cost program cosponsored by NIC and the National Sherri’s Association. Rock Valley has received a federal grant of nearly $1 million to give local offenders a better chance of avoiding a life of crime through programs like NIC’s Thinking for a Change. 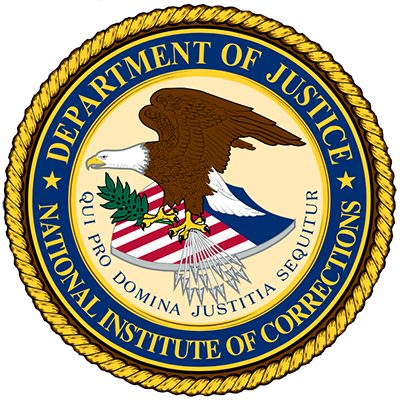 In a training offered by the U.S. Department of Justice’s National Institute of Corrections (NIC), 26 correctional professionals from a dozen agencies completed a week-long crisis intervention team (CIT) training course to provide officers and other correctional staff with the skills necessary to successfully interact and respond to individuals in custody with mental illness. Union County probation officers learned how to help offenders avoid acting on risky impulses. NIC staff taught the officers how to help offenders by using data-driven techniques.